Some people are just plain difficult to buy for. But everyone loves to eat. Especially when it’s food that’s thoughtfully sourced, humanely handled, and hand-crafted following time-honored traditions. Extra points if it’s smoked. If you’re having trouble shopping, or you just love great food, consider the terrific ideas my staff put together for your holiday gift list. And check out the gift suggestions we posted last week, everything from nifty smoking pucks to a trip to Barbecue University. But don’t delay! The holidays are just around the corner. D’Artagnan Porcelet Rib Rack: Rack of pork—a chorus line of pork chops that is cooked whole—is a holiday staple in many homes. (Perhaps you know it as crown roast of pork.) 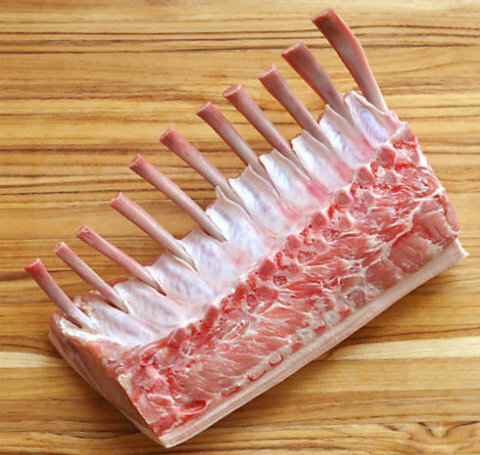 D’Artagnan’s Porcelet Rib Rack has raised the bar. This rack comes from a tender milk-fed piglet that is slightly larger than a suckling pig. Perfect for the grill or smoker. The meat arrives frozen in 3- to 4-pound slabs and the bones have already been elegantly frenched. $99.99 plus shipping. 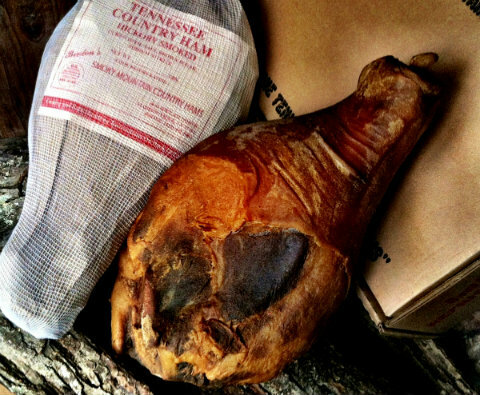 Benton’s Smoky Mountain Country Ham: “If you have a ham in the house you can face any situation,” observed Edna Lewis, grand dame of Southern cuisine. This is precisely the kind of ham Ms. Lewis means: a country ham that’s been slow-cured, dry-aged and burnished to perfection by hickory smoke. Serve it sliced paper thin with cream drop biscuits with my Mustard Seed Caviar. Benton’s, in business in Madisonville, Tennessee, since 1947, warrants the ham will weigh between 15 and 17 pounds. $65 plus shipping. 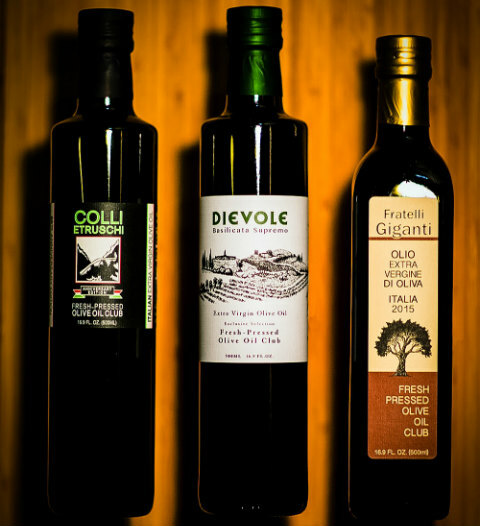 Fresh-Pressed Olive Oil Club: I was leading an impoverished olive oil life until I discovered the Fresh-Pressed Olive Oil Club, often wasting money on supermarket oils that were anything but fresh. (Unlike wine, olive oil is never better than on the day it’s pressed.) Then I met T.J. Robinson, aka the Olive Oil Hunter. T.J. travels the world following the olive harvest. Each quarter, he selects three of the world’s top olive oils (this quarter’s shipment features extra virgin olive oils from Italy and Greece), rushes them to the U.S. via jet, and delivers them to my door. Depending on usage, the oils come in 250ml or 500ml sizes. Prices start at $87 per quarter plus $12 for shipping and handling. Dear North Alaska Smoked Sockeye Salmon: Dear North, a company cooperatively owned by Native Alaskans, uses methods handed down from generation to generation to prepare this wonderful pantry staple. Wild-caught sockeye salmon is brined, flavored with coriander and Malabar pepper (another option is spicy fireweed), and smoked over alder wood before being hand-packed in jars. Terrific as an easy appetizer or holiday gift. $99.99 for a case of 6 (shipping included for Amazon Prime members). Burgers’ Smoked Turkey: Family-owned Burgers’ Smokehouse has been smoking meats since the 1950s. Its pit bosses have mastered the art of keeping drier meats like turkey moist and succulent, even during long smokes over hickory wood. The bronzed birds (Grade A hens) are shipped frozen. After thawing, they can be served warm or cold. Three sizes are available. 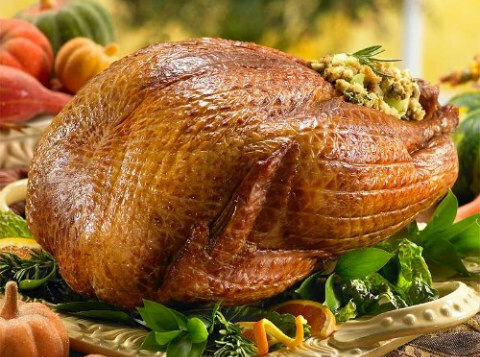 $74 for an 8- to 10-pound turkey. Shipping is included in the price. Zingerman’s Bacon of the Month Club: The bacon lover in your life will thank you each time he or she receives a package of artisanal bacon from the most famous deli in the Midwest, Zingerman’s. This Ann Arbor company counts celebrity chefs Michael Symon and Mario Batali among its “Bacon of the Month Club” subscribers. Three-month, six-month, and annual plans are available. Selections include Applewood Smoked Bacon, Kentucky Dry-Cured Bacon, and Arkansas Peppered Bacon, and others depending upon the term of the subscription. (I’m intrigued by the Juniper and Thyme Bacon in Month 4. Prices start at $99 and include shipping. 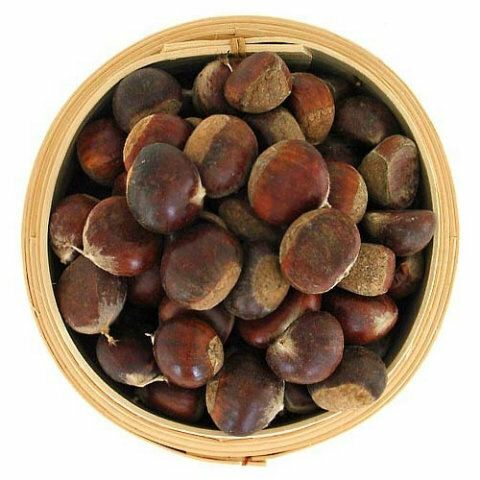 Earthy Delights Fresh Chestnuts: “Chestnuts roasting on an open fire,” crooned Nat King Cole in the timeless holiday song you hear endlessly on mall sound systems. Maybe you’ve bought hot charcoal-roasted chestnuts on a street corner in New York or Paris. They’re a holiday treat you can roast at home on your grill in a Best of Barbecue Stainless Wire Mesh Grilling Basket. Simply score an “X” in the flat side of each chestnut with a utility knife, then roast over medium heat, shaking periodically, until the edges of the cut begin to curl, 20 to 30 minutes. Peel and eat while warm. $6.95 per pound plus shipping. Snake River Farms American Wagyu Brisket: The all-stars of the competitive barbecue circuit know that if you want to win, you have to start with the best raw product. 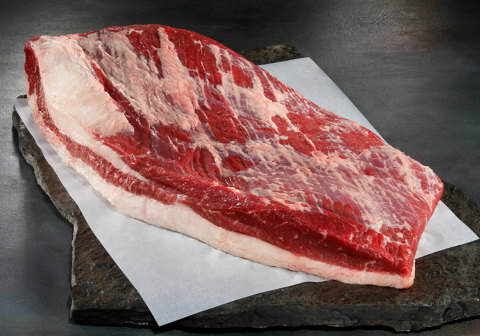 And it’s difficult to do better than American Wagyu brisket from premium meat purveyor Snake River Farms. American Wagyu, a cross between Angus and Japanese Wagyu cattle, is generously marbled with incomparable tenderness and flavor. Prices start at $129 plus shipping for a 9- to 10-pound brisket. 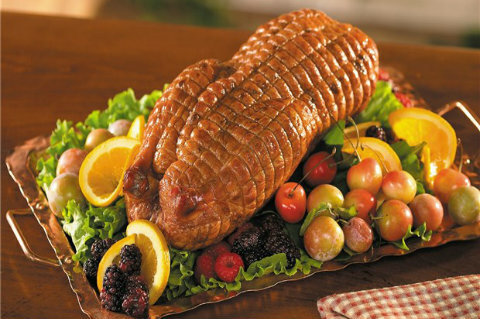 Nueske’s Applewood Smoked Whole Duck: This family-owned emporium of food, built in Wisconsin on the tradition of European-style smokehouses, gets great reviews from customers for its smoked duck. Smoked slowly over applewood, the duck remains moist and succulent. It can be served cold or warm as part of a holiday buffet. $31.95 plus shipping. ButcherBox: For years, I’ve been preaching the value of grass-fed beef, organic poultry, and Heritage breed pork. Of course, not everyone can buy these meats at their local supermarket or butcher shop. (Only 1 percent of the beef sold in the U.S., I discovered, is grass-fed.) 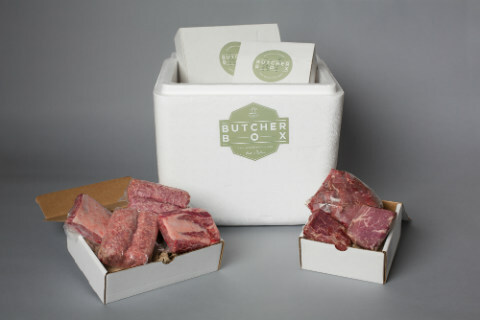 Enter ButcherBox, a company founded near my old stomping grounds, Cambridge, Massachusetts, by Mark Salguero. He sources his meats from local farms that practice humane animal husbandry and assembles customized boxes, which he ships according to customers’ needs and schedules. Each contains 7 to 10 pounds of meat. Prices start at $129. 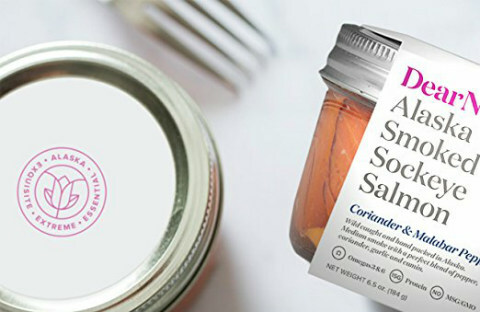 Shipping is free to the continental U.S.
Casina Rossa Gourmet Sea Salt Gift Pack: The award-winning company Casina Rossa from Italy’s Abruzzo region has put together a selection of flavored finishing salts that are bound to elevate your cooking and grilling. 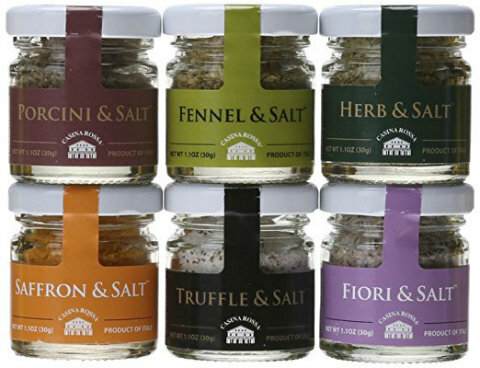 Among my favorites are the truffled and porcini-flavored salts, but they all have their uses. For example, try the crunchy fennel salt on grilled or smoked salmon; the saffron salt on paella; the herb salt on chicken; and the fiori salt on brownies or vanilla ice cream. $21.19 for six 1.1-ounce jars (shipping included for Amazon Prime members). UMAi Dry Meat Aging Kit: Recreate the prime steakhouse experience at home with this innovative product from Minneapolis-based UMAi Dry. Until now, it’s been almost impossible to dry age steaks without benefit of commercial temperature- and humidity-controlled units. But the UMAi Dry method requires only a manual lid-and-latch type vacuum sealer (included with some kits) and a well-ventilated refrigerator. Special bags created by the company bond with the surface proteins on the meat, locking in odors but allowing moisture release and oxygen exchange. 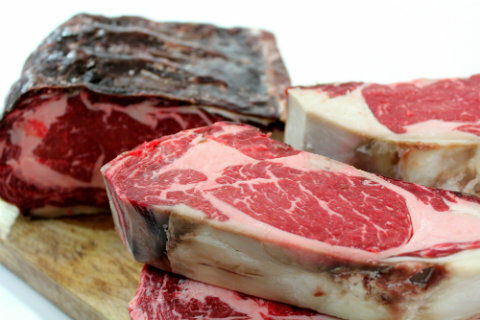 UMAi recommends dry aging the steaks for 28 days. Kits start at $135 (including FoodSaver vacuum sealer). 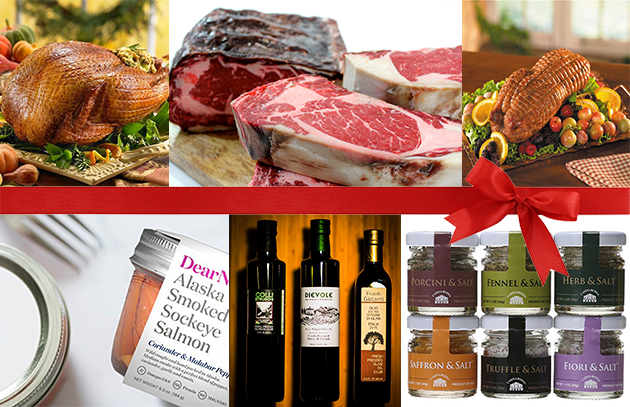 Also check out our Holiday Gift Guide for Grillers and Barbecuers. Find more food items in the Provisions section of our store.